The hotel needs an upgrade! Shower did not work properly, decoration very poor. The hotel is old but spacious and has many amenities to enjoy. Location is marvelous. Very clean. Beautiful location, very good breakfast and kind staff. Location - close to town yet away from downtown. Beautiful view. 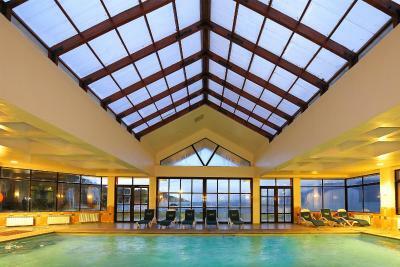 The hotel was very attractive, the staff friendly and helpful, and the buffet breakfast filling and varied. The location was great, although the foul weather didn't allow us to appreciate this as much. We didn't get to try the pool either, as it was cold and rainy, but it looked quite good to me. It was also very convenient having a tour center located within the lobby, as it allowed us to book transportation to Temuco airport easily and relatively cheaply. The huge bed was quite comfortable, and the furnishings attractive. It was also useful to have evacuation instructions due to volcanoes. The wifi worked well. Front desk staff at night was horrible. I called them many times to ask for a missing pillow. It only came 1 hour later when I went to the front desk for the second time to request it. The staff at the front desk were extremely helpful, patient and cheerful. The only thing this hotel has got going for them is their location. 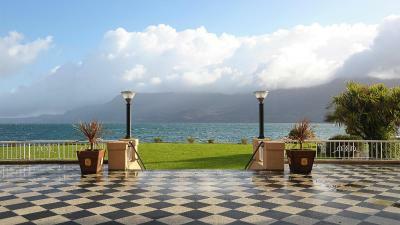 It has a beautiful private beach and the rooms not facing the lake has a beautiful view of volcano. It is easy to walk into town and check out the restaurants and the shops. 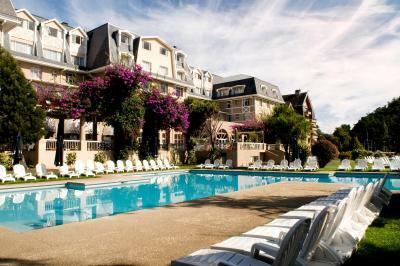 Enjoy Gran Hotel Pucon This rating is a reflection of how the property compares to the industry standard when it comes to price, facilities and services available. It's based on a self-evaluation by the property. Use this rating to help choose your stay! 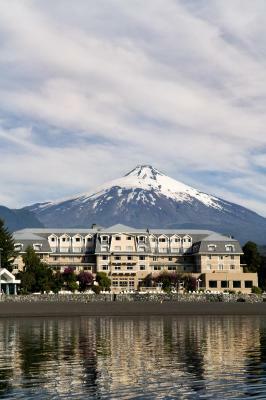 One of our top picks in Pucón.At the banks of Lago Villarrica, Enjoy Gran Hotel Pucon features a casino and 2 heated swimming pools. It offers free WiFi in public areas and rooms with scenic views. Guests can relax at the poolside sundeck overlooking the lake and Villarrica Volcano. 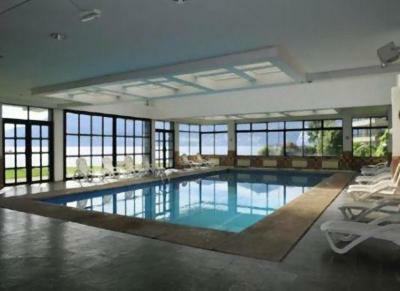 Enjoy Gran Hotel Pucon also features a gym and massage treatments, the latter for a small fee. 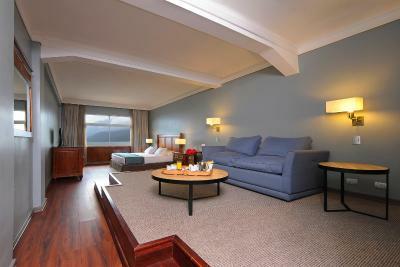 Rooms at Enjoy Gran Hotel Pucon are bright and furnished with a cozy seating area. They come equipped with cable TV and a hairdryer. Rooms offer views of the lake, volcano or the pool, based on availability. The hotel's Amura Restaurant, located in the casino 1 block away, has a buffet lunch on weekdays and a menu on nights and weekends with an array of specialties including meats and pizzas. A buffet breakfast is served at Caburga Restaurant every morning. In addition, in-room breakfast service is available for an extra fee. 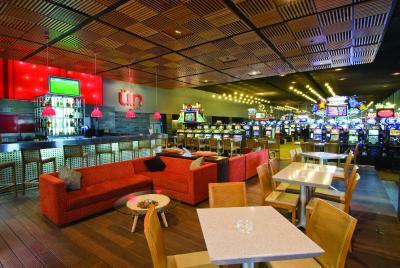 Guests will also find 3 bars, Joker's located in the hotel, and 2 others located in the casino. 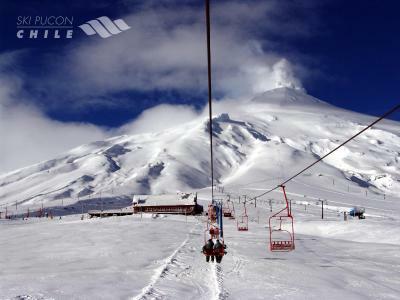 Guests looking for adventure will be happy to find the Enjoy Tours office at the hotel, where equipment for an array of activities, including skiing, can be rented for a fee. The hotel staff can help arrange tours and excursions in the region. 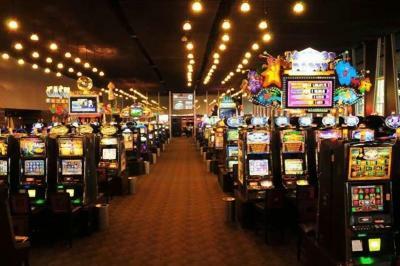 The casino features 500 slot machines and 43 game tables. Free private parking is available on site. 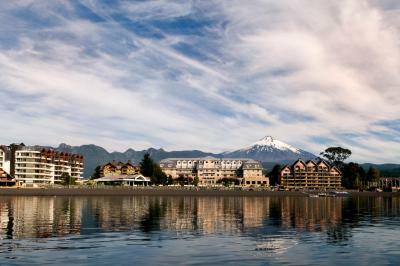 When would you like to stay at Enjoy Gran Hotel Pucon? Superior room fitted with 1 double bed, heating, a TV with cable channels and a mini-bar. Room fitted with 1 double bed, heating, a private bathroom and a TV with cable channels. Room fitted with 2 single beds, heating, a private bathroom, a mini-bar and a TV with cable channels. Spacious suite fitted with 1 extra-large bed, 2 single beds, a mini-bar, a flat-screen TV and a safety-deposit box. Spacious suite fitted with an extra-large double bed, heating, a mini-bar and a safety-deposit box. Room fitted with 3 single beds, heating, a private bathroom and a TV with cable channels. Room fitted with 4 single beds, heating, a private bathroom and a TV with cable channels. Superior room fitted with 1 extra-large bed, 1 single bed a safety-deposit box and a mini-bar. Superior room fitted with 1 double bed, 2 single beds, a mini-bar and a safety-deposit box. House Rules Enjoy Gran Hotel Pucon takes special requests – add in the next step! 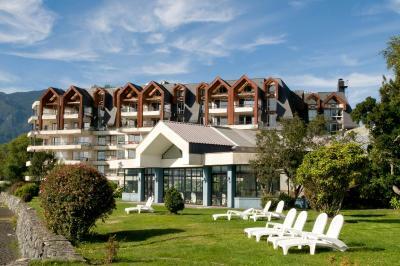 Enjoy Gran Hotel Pucon accepts these cards and reserves the right to temporarily hold an amount prior to arrival. From March 18th till June 30th 2019 Hotel will be under remodeling process,therefore some noises could be perceived from Monday to Friday 10:00 to 18:00 Hrs. During the informed period. Some of the rates published (including all nonrefundable rates) may not be discounted further and are not cumulative with Enjoy Club discounts, external promotions or other discounts. Different rooms offer different views regardless of the room-type. Views include lake, volcano or pool views, and although guests may state their preference during the reservation process, these cannot be guaranteed and are based on availability. Use of a swimming cap is mandatory to use the indoor heated pools, the hotel can provide guests with one for a small fee. 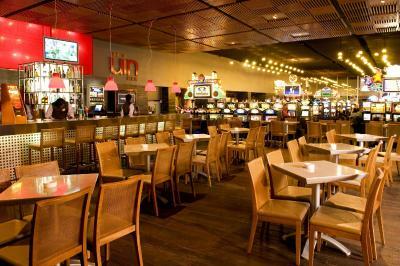 The hotel's casino is located just 1 block away. The room didn’t have air conditioning. instalation too old and whith a lack of maintenance, bathroom very bad, doors with problems, Hotel needs a lot of improvements to keep updated. I thought I booked a room with a view of the Lake. When I arrived no rooms were available. Since the reception staff did not speak English and my Spanish is limited, it was an interesting discussion. But in the end, no room with a lake view. Room Service never show up Refrigerator was locked. Nobody came to open it. Bed was tilted. Parking far from the hotel. Noisy surroundings. The presence of “security” guards with noisy walkie-talkies (there to keep out the freeloaders who are hotel non-residents) was occasionally intrusive. It is a grand hotel in fact as well as in name. A number of reviewers have been noticeably critical but I did not see the evidence or cause. I enjoyed it thoroughly. Wifi and some design problems with the shower. Prime location with poor outdated facilities and probably the worst customer service of any hotel I have ever stayed at in 57 years. Chile can be less friendly than other Latin countries but this hotel wins the prize for: indifference, lack of welcome, lack of empathy, unwillingness to help. Don’t expect a please or a thank you (in Spanish or English). -Gym was poor and filthy. -Valet would literally try to walk away when you handed them your ticket!! -Bathroom was in need of a renovation. And god forbid you should ask for assistance with anything! The only nice thing I can say about the place is that the housekeepers do a good job. Stay away!!!! Location and the housekeeping only. The property is old. Rooms smell. Hot water in the bathroom is good after 15 minutes waiit. Not enough plugs. No courtesy water. I could not open the safe box because it was locked and the minibar was also locked. Which is the purpose of the minibar in a room if it is locked. Also indoor pool was closed and check in and check out was extremely long more than 20 minutes each. The property is well located. The hotel is very outdated. Staff were not helpful and very slow - always a queue at reception. Check in not until 4pm. Rooms very old fashioned with paper thin walls. Had 2 single beds pushed together when booking a double room. 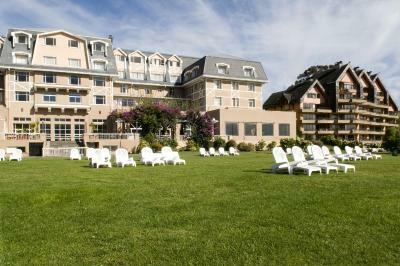 The hotel is in a beautiful location, right on the lake with lovely views. Good breakfast.